‘All is One’ – Why? Waves are said to be an energy transport phenomenon. As a disturbance or pulse moves through a medium from one particle to its adjacent particle, energy is being transported from one end of the medium to the other. This is the story of the formation (in the medium of Absolute Space) of Absolute Time, OM Light, OM Sound, Air, Fire, Water and Earth as described in this monograph. An interesting property of wave functioning deals with the results that occur when a wave moves across a medium and strikes a boundary. A portion of the energy carried by the pulse is reflected at the boundary and returns towards the source of the wave. (Light energy is reflected back and sound energy is echoed back). The disturbance, which returns to the source after bouncing off the boundary, is known as the reflected pulse. A portion of the energy carried by the pulse (about half) is transmitted to the boundary, causing the boundary to vibrate. In Vaastu Science and Technology we understand that pure wave forms are generated at the center of the Brahmastan and move outward in all directions toward the boundary or mother wall established through the numerical equation of the Ayadi calculation. Because we know that in physical wave dynamics as described above, part of the wave generated in the Brahmastan is transmitted to the boundary or mother wall. The mother wall then vibrates with the qualities generated in the Brahmastan. 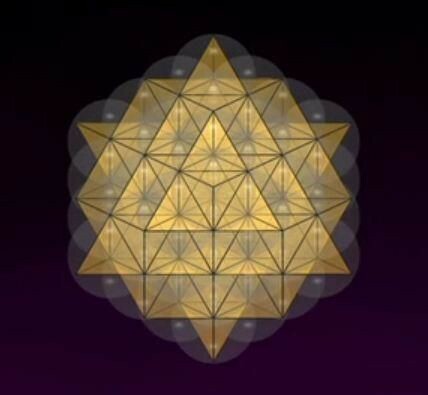 That vibration is carried throughout the structure creating a constantly vibrating form. 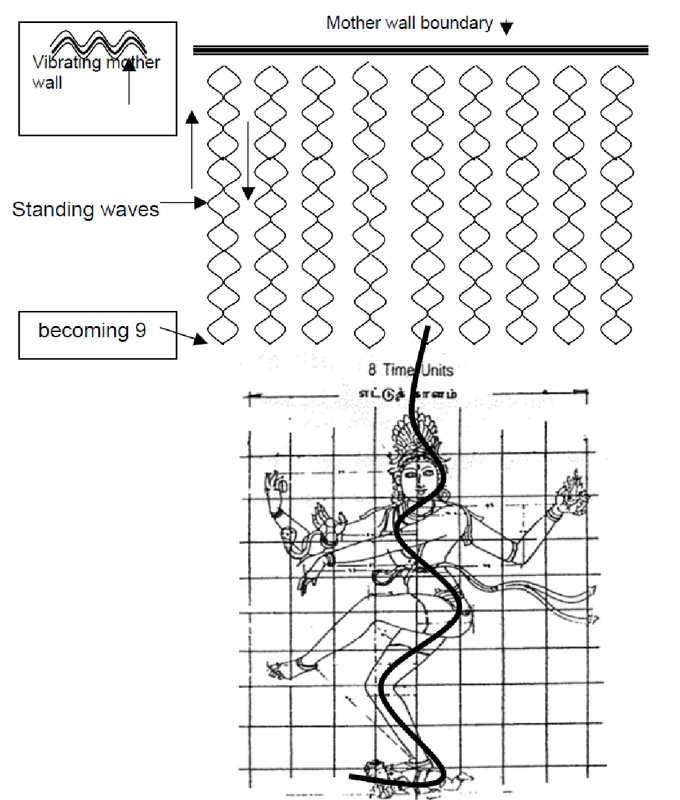 Square waves of the 8×8 transform into vibrating sine waves represented by Nataraja (dancing Shiva). They proceed out from the center of the Brahmastan in all directions (only one direction indicated below) and pass through space to the boundary established by the mother wall. In following the principle that when a wave hits a boundary it splits. Part of the pulse is transmitted into the boundary and causes the boundary to vibrate and the other part is reflected backward to its source. The part of the wave that moves backward causes a co-mingling or interference with new waves moving forward toward the boundary thus causing standing waves. The amount of wave energy that stays with the boundary is influenced by the medium it is passing through and the boundary conditions. 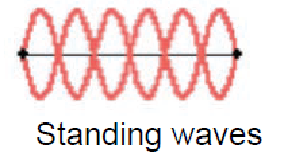 As the standing waves vibrate, the waves from the 8X8 structure can be said to meet their self in the returning waves. That “meeting of itself” and co-mingling (Absolute Space meeting Itself) creates an additive factor that creates the 9X9 structure of the Vaastu Purusha mandala. In Mayonic Science and Technology, this phenomenon is understood to be the cause of the vibrational nature of a Vaastu form. That is, the mother wall then becomes a vibrating structure that passes this vibration onto the inhabitant. This accounts for the many benefits experienced by people living in Vaastu homes. 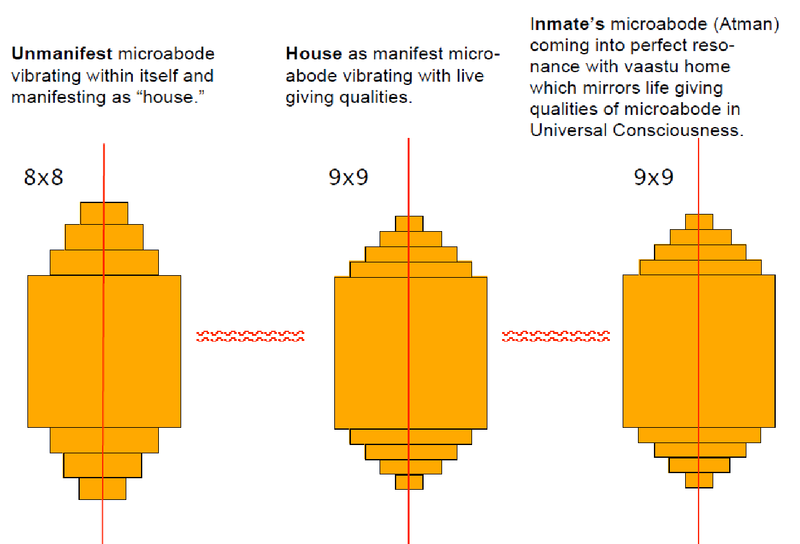 Since a properly built Vaastu structure is cuboidal and mirrors the form of Vaastu Purusha, the entire structure – walls and airspace are packed with vibrating microabodes (smallest unmanifest particle that contains consciousness). This accounts for the overall sense of wellbeing experienced by inmates as they begin to vibrate within their own microabode with that of the Cosmic Principle. How does this happen? The diagram below demonstrates the mechanics of this phenomenon. 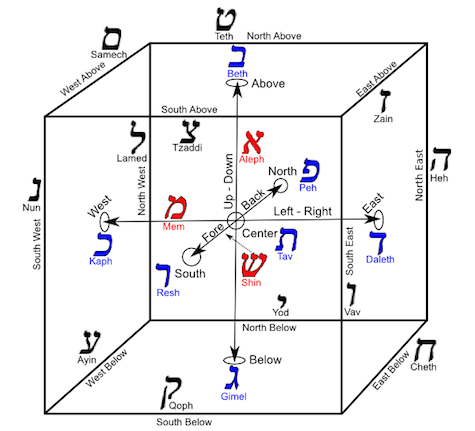 And, above and beyond this mechanism, as you can see from the diagram above (three microabodes) the inmate (person) and the house are nothing but Brahmam in bounded form. Last week we saw the basics of wave forms and a principle. We will explore some more principles and application this week. • The speed of a wave increases with wavelength (the change of speed with wavelength is called dispersion). • Dispersion causes long wavelength waves in the square wave to move faster than the short wavelength waves. decomposes with increased speed and gives way to sine waves. • Sine waves are curved by nature and, if spinning, form a circle. 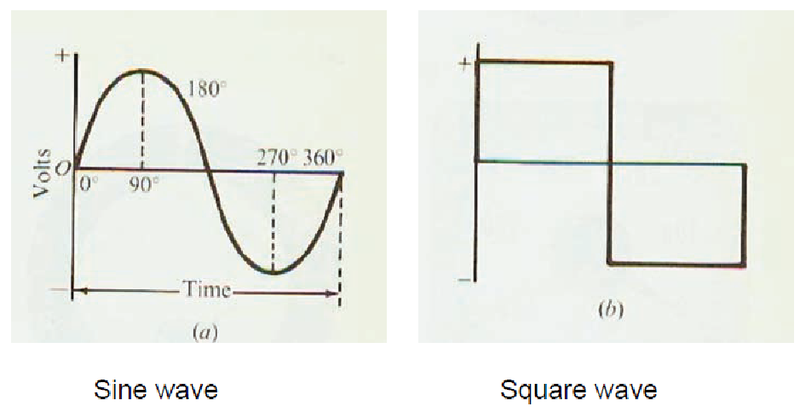 The diagram below shows a square wave increasing in amplitude and speed then decomposing into sine waves. In the formation of the 8X8 Manduka Mandala, it was previously noted that the concentric bands of time Space Time units (modules or padas) that form around the central Bindu point contain more and more modules (space time units strung together) forming increasingly long bands of energy. In addition, it was established that those bands around the central Bindu point are frequencies or waveforms/wavelengths. During the process of manifestation, wavelength increases additively by eight. That means that there is also a change of speed with the increase in wavelength. It is hypothesized that, as described above, when there is an increase of wavelength, and speed, the square wave becomes dispersed and forms a sine waves. Since the whole entity is spinning it is easy to see how the sine waves could form a circle. • When sine waves interact with each other in a specific way (two sine waves of equal frequency and intensity traveling in opposite directions combine) those waves appear to be stationary or standing still. This illusion is called standing waves. B. Amplitude: the height of the wave or the maximum amount of displacement of a particle on the medium from its rest position – the distance from rest to crest. In the case of unmanifest creation, within the fundamental medium called Absolute Space, there are uncountable numbers of cubical particles called micro abode (smallest particle that contains absolute space). When a self activated pulse occurs within Absolute Space, one particle acts upon adjacent particles and ultimately creates a waveform or wave forms. Given the nature of Absolute Space, it would be easy to imagine a holographic waveform. This vibrant but unmanifest energy is called Vastu. The Physics of Wave Forms! Mayonic Science and Technology and its sub topics of Vastu Science and Vaastu Science and Technology are deeply rooted in the science of Physics. More accurately, since Mayonic Science and Technology preceded Physics as a discipline by about 10,000 years one could say that Physics is deeply rooted in Mayonic Science and Technology and it is Mayonic Science and Technology that will ultimately explain the science of Physics. In the meantime, we can use principles of Physics to help us understand the mechanisms and dynamics of Mayonic Science and Technology. In this discussion, I will present some fundamental ideas found in most basic physics texts and relate them to Mayonic Science and Technology. 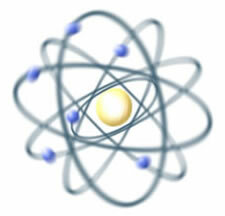 Physics is the scientific study of matter, energy, force, and motion, and the way they relate to each other. Physics also investigates and elucidates on the physical processes, interactions, qualities, properties and behavior of something. Mayonic Science and Technology is the science of manifestation of subtle energy into embodied energy. It is the science of manifestation, energy, matter, time, space, rhythm and form. Principles of Physics can be found in Mayonic Science. Mayonic Science extends those theoretical principles of Physics through Mayonic Technology to material applications. The study of Physics will in turn help us to understand Mayonic Science and Technology. Present day Physics has confirmed that everything in this Universe is composed of vibratory or oscillatory components, be it solid or evanescent (transient/ disappearing). Those oscillatory components are fluctuating waves of energy called sine waves and square waves. 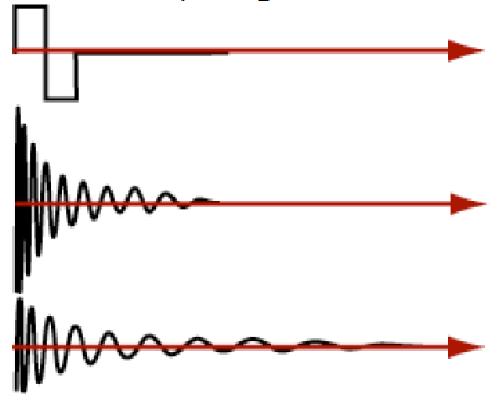 The genesis of these waveforms is called a pulse. A pulse is a single disturbance moving through a medium from one location to another location. One particle is stimulated or pulsed and that particle acts upon adjacent particles. The repeating and periodic disturbance, which moves through a medium from one location to another, is referred to as a wave. 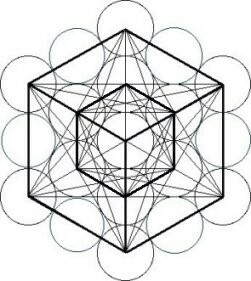 Mamuni Mayan says, “The primal manifest form of the unmanifest is square” He calls it a primal wave pattern – (Aintiram) – the pure energy cube. From this we can say that the most fundamental wave form is cubical / square in nature. Interestingly enough, scientist say that contained within square waves are potential sine or curved waves. If we use the knowledge gained from Mamuni Mayan (As in micro so it is in macro and vice versa) and the facts offered by modern physics it is possible to understand the mechanisms of unmanifest pure energy (Vastu). Why is this important to think about and apply to Vastureva Vaastu? In understanding that the square wave contains a series of sine waves, if we look at what happens to square waves under certain conditions we might find a clue to the 8=9 phenomena. We will see more principles and their applications next week. ‘Love’ or ‘Devotion’ or ‘Resonance’? Furthermore, Mayan discovered that he could create and control the qualities generated by a form (sculpture, house, poem, music, dance) by applying specific mathematical formulas to the creation of that form. Mayan discovered, for example, that he could apply his mathematical formulas to building a house. Depending on the formula used, that house will be harmonic to a human inhabitant or it will be disharmonic to that dweller. If a house was disharmonic, it could affect the life of the person in a negative way. If it was harmonic, it could affect the life of the dweller in a positive way. This concept of harmony is called resonance. This is the origin of the concept of Bhakti (Devotion). It is a term coined by Mayan. Many people think of Bhakti as meaning love or devotion or service. It in fact means resonance. It has nothing to do with love or devotion or service. It means that in a Vaastu form, the form and the individual come into resonance and that resonance elevates the individual to the Divine level of the form. The Vaastu form is a divine form and the individual who is in resonance or Bhakti with that form begins to vibrate with the qualities of that form. This concept can be demonstrated by striking a tuning fork and holding a still tuning fork of the same chord next to it can demonstrate this process. The still tuning fork will soon be vibrating as a result of being placed next to a vibrating tuning fork. In that same way, the vibration or frequency of the built space will cause the space of the dweller to vibrate at the same frequency of the house. The built space emulates the Cosmic microabode and has at its heart – the center of the Brahmasthan or Brahma Bindu – a Cosmic microform. The human has the same microform within in the cave of the heart. The individual microform is like a tuning fork to environmental influences. Whatever is in the environment, the individual will begin to vibrate with that frequency. If you place yourself in the environment of a Cosmic Force, you automatically become in resonance with the qualities of the Cosmic Force. In a Vaastu building your heart resonates with the heart of the Cosmos – from Cosmic Heart to individual heart. Mayan realized that for a human to be at peace, enjoy health, and experience spiritual bliss, he or she should well in a structure that vibrates with those qualities. A Vaastu building is constructed to vibrate with those qualities so that the indweller may live a life of bliss and well-being.